Keep up to date with innovative pricing ideas and news. Rafi Mohammed is a pricing strategy consultant who helps companies earn the highest profit from their products and services. 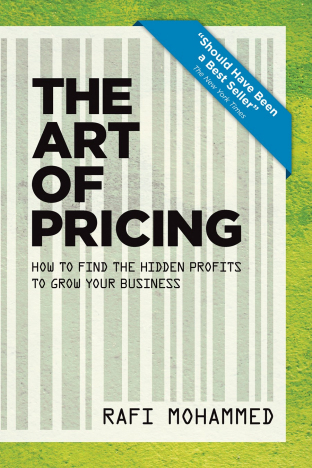 His pricing strategy book, The 1% Windfall, helps to solve the challenge that every company in the world faces: "What pricing strategy should I create for my products and services?"